I have tested PaidViewpoint thoroughly and have been a member for a long time by now. So if you consider joining, let me first share my experiences with you, so you know what to expect. I this PaidViewpoint review, I will give you detailed info about what the site has to offer and what to be aware of etc. So if you want to know, if PaidViewpoint is a scam or a legit chance to make money, just keep reading, and you will know by the end of this article. Let me right awau reveal that PaidViewpoint has some unique features that no other survey site has, but I will go more into details about this later. Let’s start with the basics of the site, how it works, and what it offers. 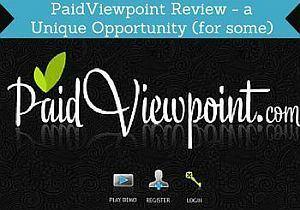 What is PaidViewpoint and what does it offer? The main way to make money on PaidViewpoint is by doing regular surveys. There are quite frequent surveys like this, depending on where in the world you live. The great thing about surveys through PaidViewpoint compared to other survey sites is that you will never be offered a survey you will then not qualify for. This makes PaidViewpoint very unique and also means you will not waste any time trying to click surveys that you will not be able to take. So you know that when you are offered a survey on PaidViewpoint, you will with guarantee be able to complete it and get paid for it. This is a feature that I really appreciate about PaidViewpoint. 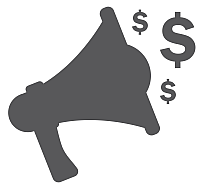 PaidViewpoint offers at least one daily paid survey, that is called “Trait Score”. These surveys only give very small rewards, but also only takes 1 min to do, and it will eventually be a part of giving you more surveys and higher rewards for the surveys. I know this might sound confusing right now, but I will explain more about the Trait Score later, so it becomes clear. PaidViewpoint also offers a generous referral program, where you will be able to make up to $25 per person you invite to the site, as you will get a bonus every time they do a survey (this money will not be taken from the person you invite, but be paid by PaidViewpoint). Before you get too excited about that potential bonus, be aware that it is not as easy as it sounds. You do not get $25 just for inviting a person. If a perosn you invite joins, you will get 20% in commission of whatever that person is making, so you will only get a bonus, if the person actually takes surveys. And the maximum you can then get per person is $25. But still a nice way to make a bot extra money, if you know a lot of people that are interested in joining and doing surveys. Everytime you do a survey or a Trait Score survey, you earn dollars that you can see in your PaidViewpoint account right away. You can then have this cash paid out through PayPal. You have to make $15 before you can request a payout. I personally prefer a payout threshold a bit lower, but this is still very good compared to some other survey sites and not difficult to reach, if you live in the right countries. You will get a $1 dollar bonus just for signing up and filling out your basic information, which will only take a few minutes, so that is a nice start. Once you request a payout, it will be in your PayPal account within 2-3 days. What is PaidViewpoint Trait Score? My Trait Score after making it to the top 10%. I have already mentioned the Trait Score a few times now, and think it is about time to explain what it is. It is a score, that determines how well PaidViewpoint know you, and how honest you are. Every day, you can take a short Trait Score survey, that pays you a few cents, but also only takes 1-2 min. This is not the way you make real money on PaidViewpoint, but a way to find out how consistent and honest your answers are. In online surveys, it is often a problem that people are not honest and just rush through, so PaidViewpoint has made a system that tests your consistency through these little daily surveys. The Trait Score surveys is also a way for PaidViewpoint to get to know you better, so you can get the surveys that match you. This does not mean the site wants to know your personal identity, but know more about your interests, demographics, and traits. Because of this, you are also only offered surveys, that you can actually participate in and finish. Unlike some other sites, once you have started a survey, you know that it will not stop in the middle, and say you do not qualify anyway. This is a very unique feature, and a very great thing about PaidViewpoint. These Trait Score surveys are not the way you will make the most money at the site – or in a way it actually is. Because every time you have done one of these Trait Score surveys, you will get points. When you reach 9000 points (took me about 3 months), you are one of the trusted survey takers, and you will more often get surveys, and be paid higher rewards for them. So even though the Trait Score surveys only pays very little, it is definitely worth spending 1-2 minutes a day doing them. In the long run that will give you a lot more opportunities on PaidViewpoint. 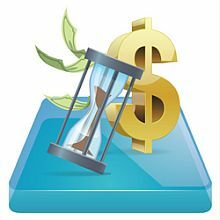 How much time do I have to spend to make money on PaidViewpoint? Like with every other paid survey site, how much time you want to spend is up to you. The daily Trait Score surveys only take 1-2 min. They are worth doing, as they in the long run will give you the chance to make more money. The other surveys pay pretty well in relation to time compared to many other survey sites. It is difficult to say it more precise, as the time and reward depend on the different surveys, and on your Trait Score. But in general most surveys only take around 5 minutes and are very easy to answer as they are usually multiple choice questions. PaidViewpoint does however have limitations in the time you can spend on it. Because it only has a few ways to earn, and only surveys of high quality, there are not as many. Some days there will only be a Trait Score survey you can do, and then you can maximum spend 1-2 minutes on the site. So in that way PaidViewpoint is not the site that gives the best earning opportunities, as there are not as many daily opportunities as there is on a site online reward portal like SwagBucks. But PaidViewpoint does have other advantages and it is very easy to use, so it can definitely be a nice site to join and take the surveys you are offered. One thing to be aware of is that you have to check the site yourself to see if there are any available surveys. In the settings of your account, you can ask to get email notifications when there are available surveys, so this can save you from having to go to the site to check. You will however not be told by email when there is a Trait Score survey available, but it is also easy to figure out when they are available – there will be 1 (sometimes 2) of these every day. And please remember that paid surveys in general will not make you rich or make you a full time income, but they can give you some nice extra spending money. Just to clarify that and manage expectations. In which countries is PaidViewpoint available? PaidViewpoint is available worldwide, and you can sign up no matter where in the world you are. How many surveys you will get can however vary greatly depending on where you live. There are most frequently surveys to people living in the US, Canada and the UK, and to some extent Australia. In the rest of the world, there will occasionally still be a survey, but it will be very rarely. So if you do not live in one of the countries above, this might not be the right site, but then there are other sites that will be good for you instead. PaidViewpoint is however growing worldwide, so hopefully at some point, more surveys for different countries will be available. You can participate in surveys, even if you are in another country than where you live, contrary to some other survey sites, so you can use it even when travelling. How do you use PaidViewpoint? I have made this short video walkthrough of PaidViewpoint in case you are more the visual type and want to see how to easily find your way around the site. There can be cases where you need to get in touch with a survey site to clarify something about your account or the platform. Whether it is then easy to get in touch with the company behind tells a lot about a survey site. I have myself contacted PaidViewpoint a couple of times with a few questions. All the times I have received a quick, useful and friendly answer. This is a sign of good service and respect for their members and another aspect I really appreciate about PaidViewpoint. PaidViewpoint definitely has many more pros than cons. One of the only cons is that how many surveys you get, can be very different depending on where you live, so it is only really worth joining, if you live in the US, Canada, the UK or Australia. That is not as such a bad thing as that is just the markets PaidViewpoint are mainly working with. It just means that if you do not live in one of these countries, you should probably join other surveys sites instead, as it would take you way too long to make enough for a payout. PaidViewpoint is the only survey site I have seen with a system like the Trait Score, where you can get extra earnings, if you are consistent and honest. I kind of appreciate this feature, and I really like that it also means that you will only be offered surveys that you will for sure be able to finish and get paid for, as they know more about which surveys you match. More survey sites could learn from a system like this, where you never will be screened out once you have been offered a survey. So in general, I definitely recommend you to join PaidViewpoint, if you live in one of the countries mentioned above. How do I sign up for PaidViewpoint? It is very fast and easy to sign up. Just click the button below, and it will take you to the site, where you need to fill out a short registration form. It will only take you around 1 min. I hope this review gave you a good idea of what PaidViewpoint is about, and if it is for you. If you have any questions or comments, please feel free to comment or ask below. PaidViewpoint is a very user-friendly site. It has the unique feature that you will never be offered a survey that you later be screened out from. It is a very honest site that does not promise more than it can keep, and can be a good option, if you live in one of the countries where it regularly offers surveys. I live in the USA and have been a member of PaidViewpoint for 3 years. I was also a member of their sister survey site, Instant Cash Sweepstakes (ICS), for 3 years until they shut that one down at the end of January 2017. I was on both sites almost daily, answering surveys honestly. I have a regular job, so it was some extra money for me. I made more money on ICS than on PaidViewpoint and was disappointed when they shut ICS down. ICS was very straightforward with their members giving us plenty of notice about when they would shut down, so that members could cash out before the shut down date. While I was a member of ICS, I joined PaidViewpoint by clicking on a link on ICS’s website and remained with PaidViewpoint when ICS shut down. I received surveys very frequently, usually every few days until May 2017. In the past 3 years, each time I reached $15, the amount you need to earn to cash out, they always came through. I have to give them that much credit, they DID pay. Then at the end of May 2017 the surveys just stopped. I leave the site open and refresh the screen daily to see if a new survey shows up. For a few days in August, I received a few surveys, but nothing since then. I currently have $14.73 and beginning to wonder if they stopped sending surveys because they don’t have the money to pay and wonder if this site will shut down soon too. I have not heard any info about anything like that regarding PaidViewpoint, so do not know why you have suddenly stopped receiving surveys. It does sound a bit strange. But in my experience, PaidViewpoint is a very honest site, and it also has a responsive support, so I would suggest to write them and ask. Maybe there is a reason they have a period with less surveys for you, and worth checking it out with them directly. A way you can still keep earning a bit every day even though you do not get many surveys is to use the Traitscore surveys. There should be at least one available a day. They do not pay a lot, but since you are so close to reaching the payout limit, it can be a way to get to it fairly quickly no matter what. If you get in contact with the PaidViewpoint support, feel free to update here about any info, as it is great to know. Thanks. I am interested in this PaidViewpoint survey site. Because I think, it is unique site after reading. I haven’t done any survey. But I have read about other survey sites before. However, all of survey sites pay a few cents for a few minutes. I think it’s worth for a person who want to get pocket money. For me, if I will get some pocket money every month, I will be happy. But unfortunately, I don’t live in the countries where there are frequent surveys. Thanks for this information. Thanks for your comment Nanshilar. Yes, PaidViewpoint is unique in some ways. A shame that it does not offer good opportunities in your country. 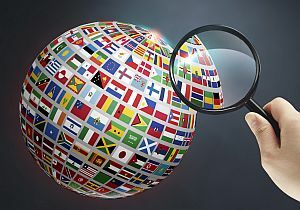 If you are interested, you can in stead check out my Top 10 list – maybe some of those have opportunites in your country. Mikael, this is a great review on Paid Viewpoint, you stated that it’s not a scam because they provide a legitimate opportunity for someone to earn extra money. However, Paid Viewpoint will not be a great fit for someone who is serious about creating a profitable online business that will allow them to earn enough money to quit their job. I’m not a fan of this type of program because it seems like a waste of time. Thanks for your comment. You are quite right that PaidViewpoint (or any other survey site for that matter) will not earn you enough to quit your job. But not everyone wanting to make a bit extra online are doing it to quit their job. And if it is just to make some extra money on the side without having to make any investment and without having to do any training, paid surveys can be a great way. It all depends on the goal and our motivation. have you actually cashed out from paidviewpoint yet? I have tried a few of these survey websites and most surveys I don’t get qualified. Maybe it’s good for teenagers or people who have a lot of time to waste, not good for people who want to make real money online! But just out of curiosity I watched the demo on the site and it looks interesting. I’m going to sign up under your link and have a look around. At some surveys sites it is more difficult to qualify for a survey than others. And some takes a bit of patience to find the surveys you qualify for – it depends where you live, age, and very much also on the site you sing up for. But one of the great things about PaidViewpoint is that you will not be offered a survey you do not qualify for. Once you have been offered a survey, you will get paid for it. Many other survey sites could learn from this. And it also has the small daily trait score surveys that everybody can do every day. Unfortunately for me, it does not offer that many surveys in the part of the world where I live (Scandinavia), so for me it takes a long time to get the payout and are just getting close to it now. So for me, it is not the best way to earn from surveys based on where I live, and I use and make a lot more on some of the other sites in my top 10 list. Other than that, it PaidViewpoint is a really great and easy to use site, and also takes a short time to do the surveys it has compared to other sites. So for people that live in a country where they offer more regular surveys, this would be a great site to use. In general, I do not think survey sites are a waste of time. But they can be, if you do not find the right sites for you depending on where you live etc. They can be a nice and easy way to make a bit of extra pocket money without any investment. But if you are looking for a way to make a living online, paid surveys are not the way, but for people that just want a bit of extra money, it can be a great way. I have been skeptical about survey sites for some time. I have tried a few along the way and found most of the time surveys are not available where I am and if i did get get one they took too long to complete. PaidViewPoint sounds a little different and I like the low payout threshold of only $15. Maybe finally there is a survey site that is worth looking at again. Cheers! Glad to hear you found my review useful Mark. It can be quite different which sites offer frequent surveys depending on the country you live in. PaidViewpoint can definitely be a good site, but also here, it depends where in the world you live. In Scandinavian, PaidViewpoint does not give you a lot of surveys in my experience, but in the US and many other parts of the world there are more frequent surveys. Excellent review. It seems to me that with a little effort I can earn some extra money. Too bad the job market is restricted or less for individual countries. I hope that this will change in future and I will definitely try this method of earnings. Do you recommend PaidViewpoint for beginners? Thanks for your comment Deva. Glad you found it useful. Good luck, if you decide to give it a try, and let me know if any more questions come up.